The Icelandic Lighthouse Society, named Vitafélagið, is a grass-roots society on Icelandic coastal culture. It was founded in 2003. Its goal is to increase people‘s awareness and knowledge of the Icelandic lighthouses as well as other important cultural treasures that are on or close to the coastline. The Lighthouse Society has promoted the value and importance of the Icelandic coastal culture by utilizing every opportunity to draw attention to its diversity and to point out the opportunities that it offers. The coastal culture is closely interwoven with the history of the country. People have utilized the wealth found in the ocean in a myriad of ways through all ages from the time of settlement in the 9th century. The ocean has been used as a source of food but also for other purposes. Fish-skin was used for shoemaking and fish-oil was used for light. The utilization of the ocean catch is in many ways similar today. Today, young artists and designers turn fish-skin into leather that is used for designing fashionable shoes and clothing, and the products from the sea are transferred into medicine and cosmetics. Coastal culture is a valuable part of the Icelandic cultural heritage and we need to be more conscious of protecting the know-how of past culture and make sure that it is passed on from generation to generation – such as boat-building, sailing, fisheries, fish-processing, fish-leather making, shoe-making, processing of algae, etc. In this sector of our cultural heritage there are great opportunities for the future. Establish cooperation with international coast culture societies, lighthouse societies and institutions with similar purposes. Under the slogan Mirror of the past – Silver for the future, montly seminars are conducted during the winter months. They have focused on different topics related to the coast and the sea, including women and the sea, lighthouses – their architecture and use, legal aspects of coastal regions, archeology and excavation of ancient coastal remains, the sea and the coast as providers of raw material for new products, just to mention a few topics. The Society organized a conference in 2006 on Lighthouses and coastal culture in the Nordic countries. Another conference was held on the Icelandic coastal culture, its situation and future. Three other conferences can be mentioned include: Lighthouses and Coastal Cultures of the Nordic countries, held in the Aaland Islands in 2010, Coastal tourism in the North – its wealth and threats. In 2017 the Society held a conference on the processes of including the Klink-boat tradition on UNESCO‘s list of Intangible Cultural Heritage. The Lighthouse Society publishes Fréttabréf (a Newsletter) twice a year focusing on the most important news of the field. The Society has also published a brochure on the Society as well as a booklet of the lectures that have been offered at the Festivals. Playing cards were printed and published for fund-raising with photos of things and activities related to lighthouses and coastal cultures. Workshops and Cultural events. A workshop was held in 2011 on the preservation and use of wooden boats in cooperation with the Union of Maritime Museums. In 2012 the Lighthouse Society cooperated with the village of Gardur to offer a night with songs and music where the lighthouse was in the center, lit up with colorful lights. 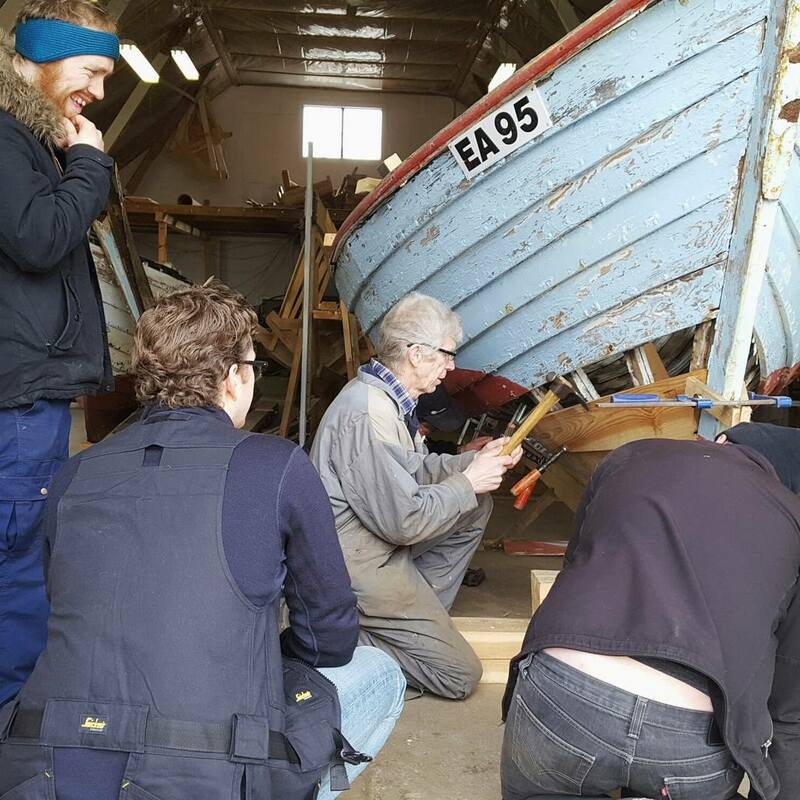 Haflidi Adalsteinsson and other boat builders practicing their skills. Seminar in different villages. Once a year the Society holds a seminar in different villages around the coast with focus on their special social and cultural activities related to the ocean. The President of the Icelandic Lighthouse Society was the initiator of the Nordic festivals and the first one started in 2011 in Húsavík, Iceland. Since then these Festivals have been held in Ebeltoft, Denmark in 2012, in Karlskrona, Sweden in 2013, in Oslo, Norway in 2014, in Aaland, Finland 2015 and in Vágar, Faroe Islands in 2016. The next Nordic Coastal Culture Festival will be held in Siglufjördur, Iceland in 2018. 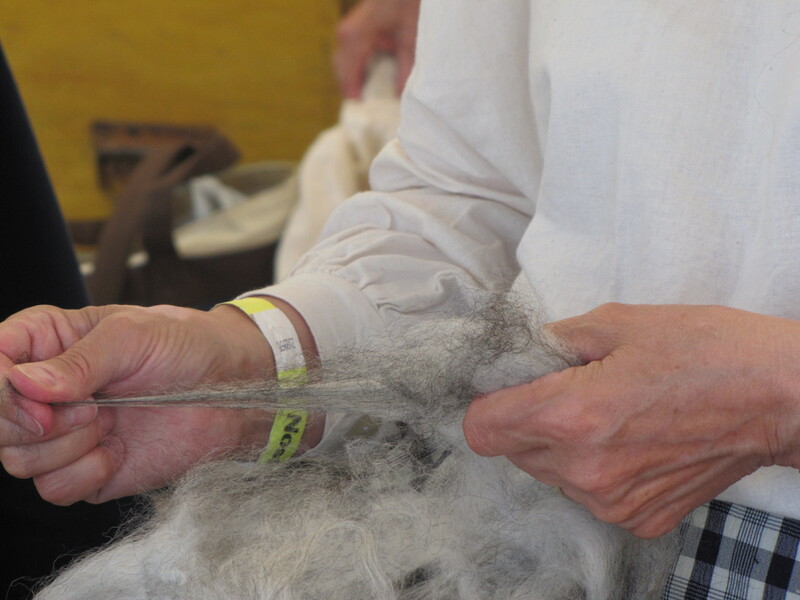 The Festivals have also offered lectures on specific topics, demonstration of different work-methods as well as food products and fashion items made from fish and ocean growths such as sea-weed. The first seven lighthouses were registered for full preservation by the Minister of Education on December 1, 2003. This was done by the initiative of the Vitafélag and more applications for preservation and conservation of lighthouses have been prepared. The Society had a new top built on the old lighthouse of Gardskagi. The lighthouse was built in 1897 and is the second oldest concrete building in the country. The top of the lighthouse had been removed but with this new construction the lighthouse has got is original look. The Lighthouse Society, in cooperation with the other Nordic Coastal Culture Societies, has been working on the inscription of the Klink-boat tradition on UNESCO list of Intangible Cultural Heritage. Ljósmál– a film is under construction which will demonstrate the history, functions and benefits of the Icelandic lighhouses. 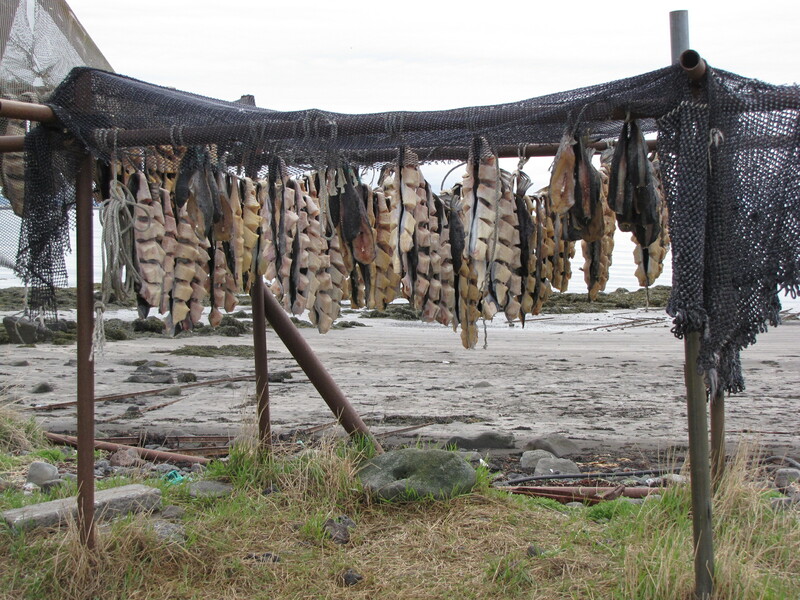 Typical drying of lumpsuckers which is a delicacy for Icelanders. 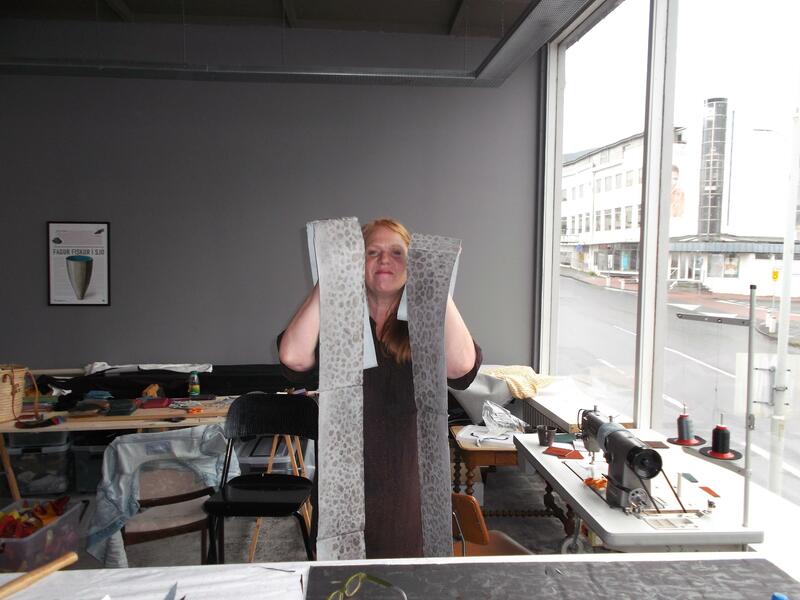 Monthly seminars and conferences on different aspects of the Icelandic coastal cultures. 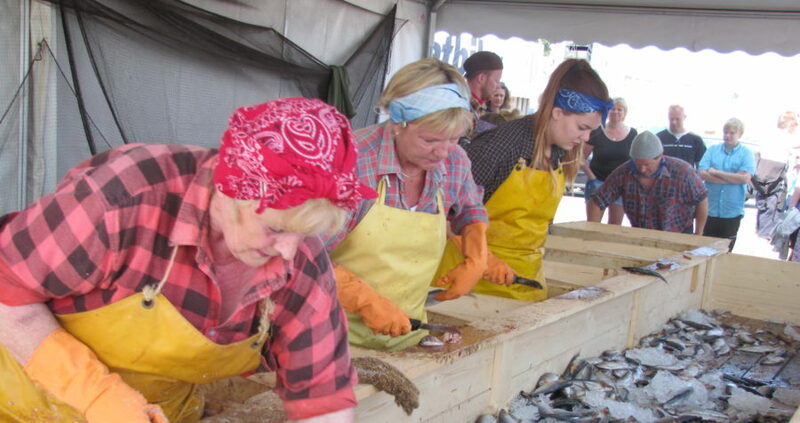 Workshops and demonstration of work methods, including boat building. Nordic Festvals on Coastal Cultures and cooperation with Maritime Museums. Special needs in society, such as construction and repair of old lighthouses, efforts to have the Icelandic lighthouses preserved through legislation. Everything that the Icelandic Lighthouse Society does is through voluntary work. The main purpose of Vitafélag is to promote awareness and knowledge of the Icelandic coastal culture in all its different forms. It is a grassroot Society open to all interested, individual as well as Societies and governmental agencies. Among the founding members of Vitafélag were the Cultural Heritage Agency of Iceland, the Maritime Administration, the Herring Era Museum and the National Museum as well as individuals. Since then, some companies, museums and professional associations have joined in as well as a number of individuals.